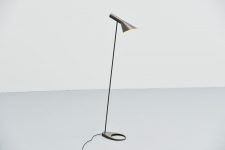 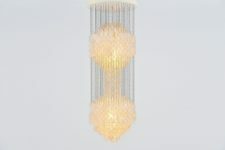 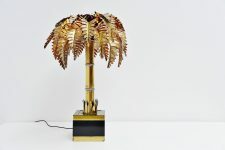 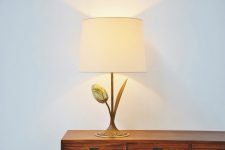 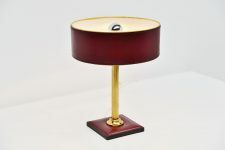 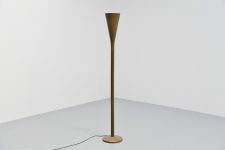 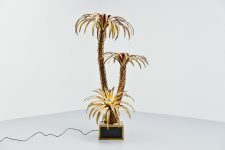 Nice and decorative table lamp in the style of Jacques Adnet, France 1960. 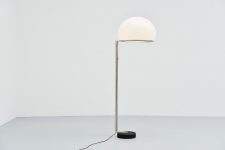 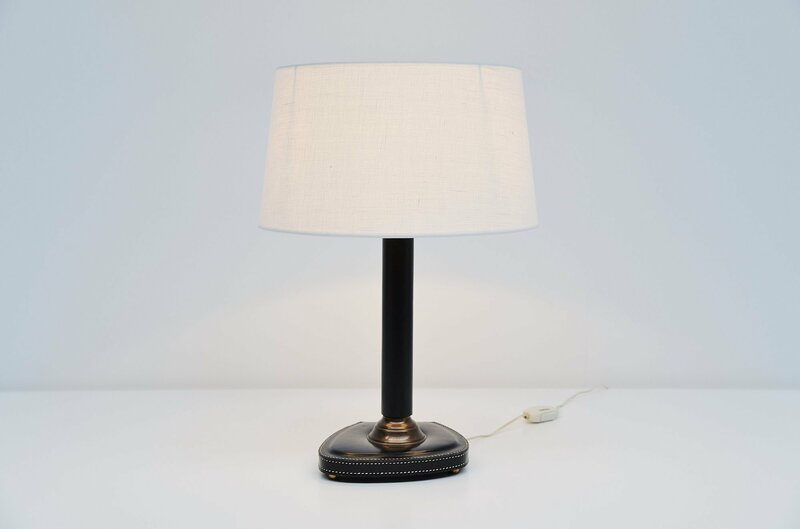 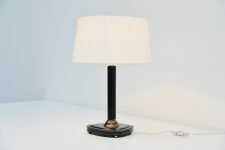 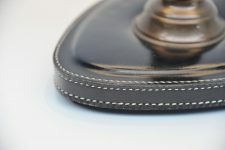 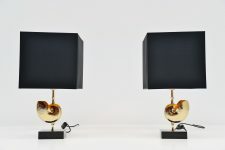 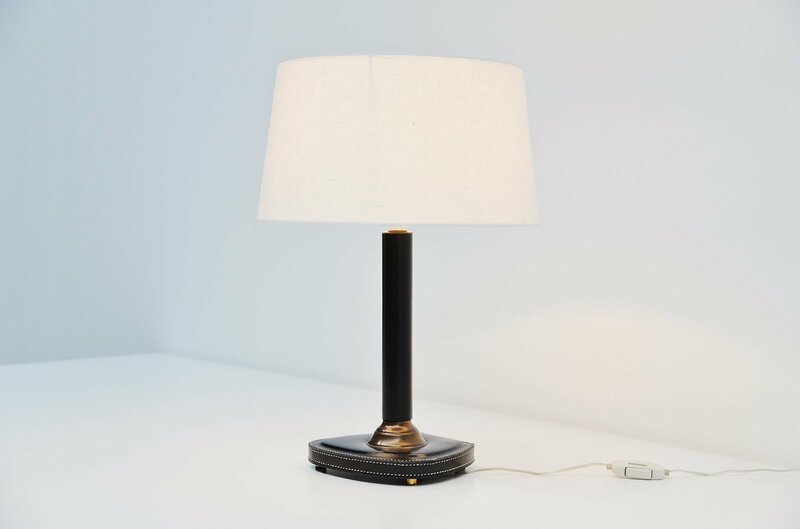 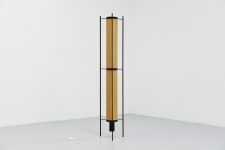 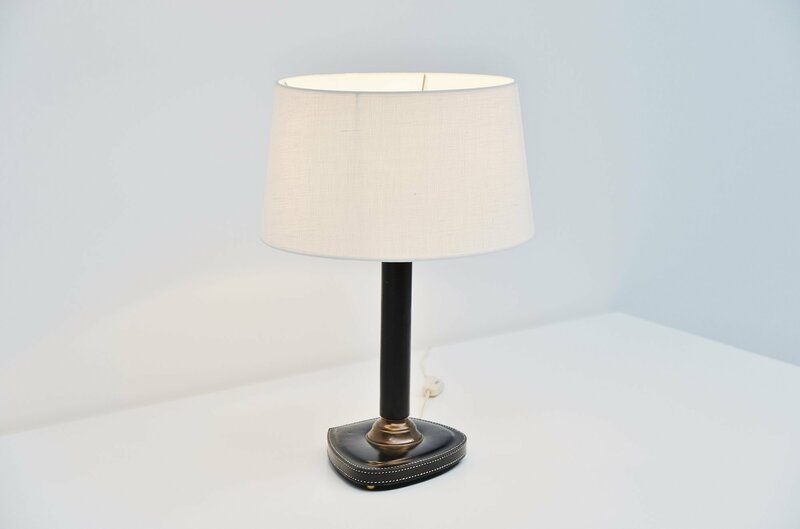 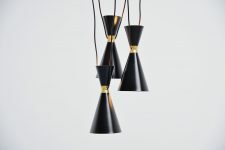 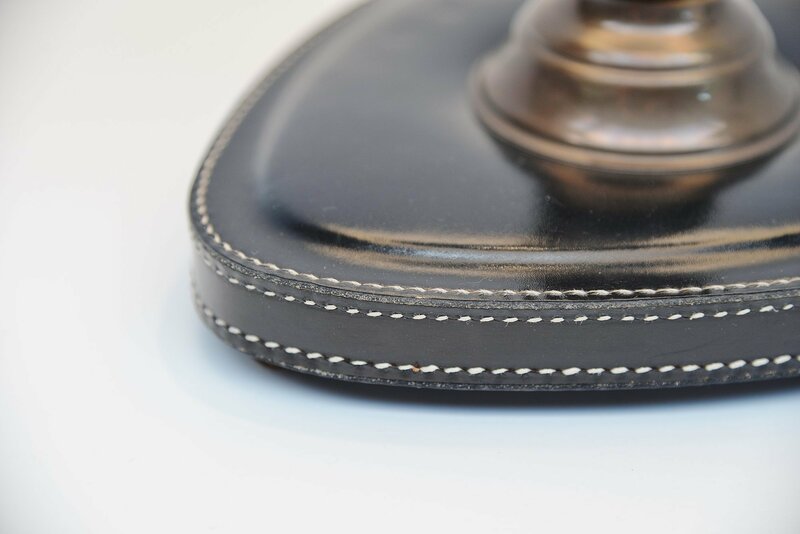 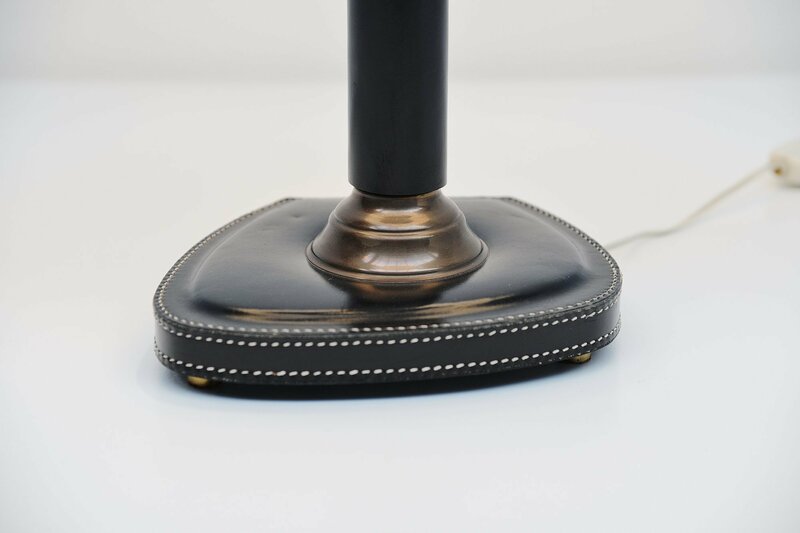 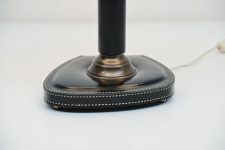 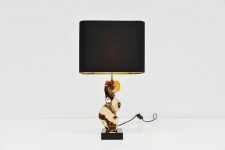 This table lamp has a black stitched leather foot and brass details. 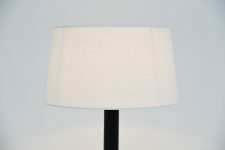 The shade is newly covered with off white fabric. 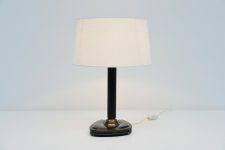 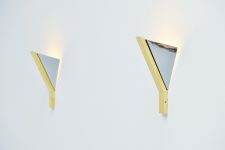 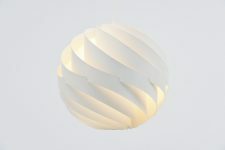 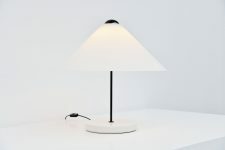 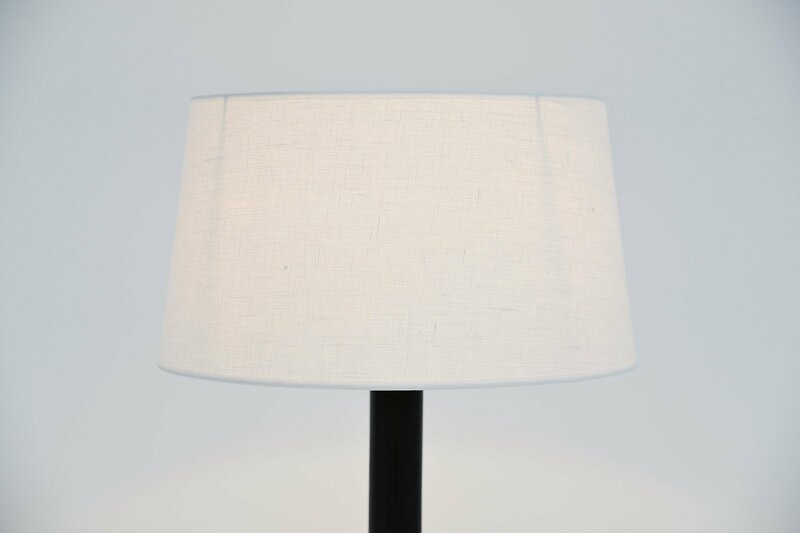 The lamp gives very nice and warm light when lit and is in excellent condition.